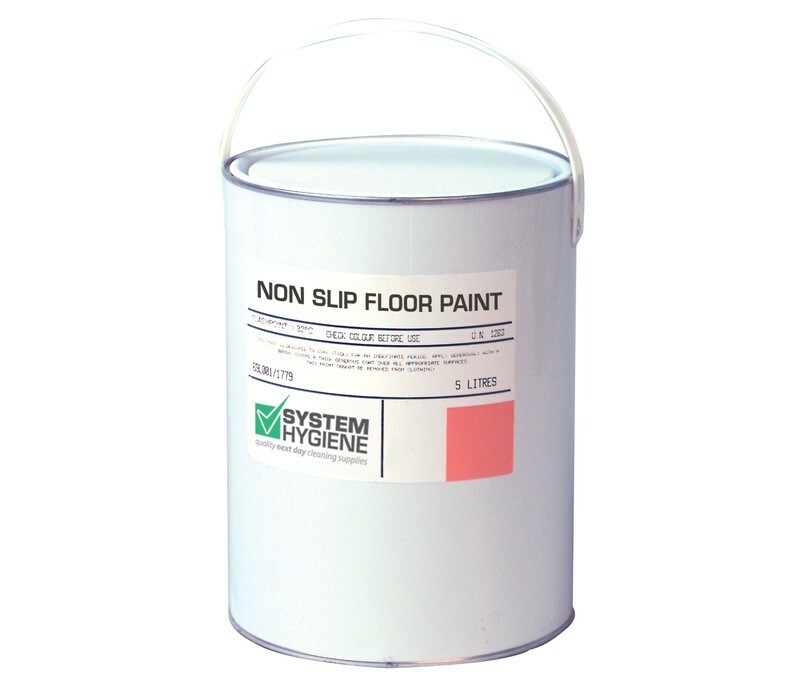 System Hygiene Heavy Duty Anti-Slip Floor Paint is a tough, durable and hard wearing floor paint for use on most concrete and wooden floors in garages, warehouses, workshops and factories. Coming complete with a 2.5kg tin of aggregate, the paint can be mixed to produce a non-slip finish, making it ideal for painting stairs, steps and enterance ways. The paint also provides enhanced durability, abrasion resistance and a good resistance to dilute acids, alkalis and oils. Provides a clean hard wearing finish to concrete, stone and wooden floors. Ideal for light traffic floors, including the use of fork lift trucks, scissor lifts etc. Available in blue, red, white, yellow and grey. 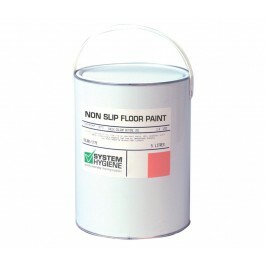 Standard heavy duty floor paint is also available from stock. One 5ltr tin covers approximately 55 square metres. Bespoke colours of floor paint can be blended subject to quantity. Please call the sales office for details. Ensure the surface is clean, dry and free from grease and loose flaking matter. Rub down previously painted surfaces with an abrasive paper. Repair any cracks with suitable filler. Stir well before use. Do not mix aggregate directly into paint can, as it can fall beneath the paint, mix in a suitable low-profile tray.